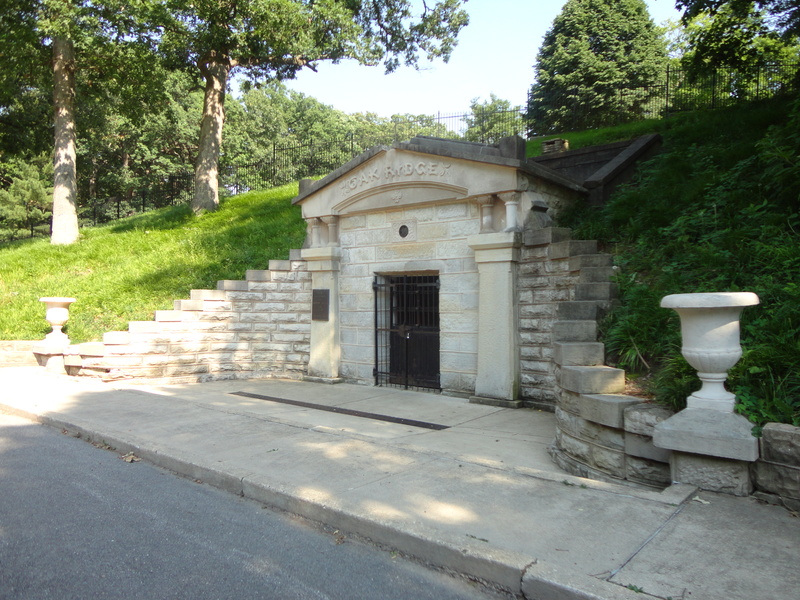 While a visit to a cemetery seems to be a bleak thought, Oak Ridge Cemetery in Springfield, Illinois holds Lincoln’s Tomb and an array of interesting historical markers and facts. I recently visited the cemetery and learned that Oak Ridge Cemetery is the second most visited cemetery in the nation, second only to Arlington National Cemetery. With around one million visitors each year this is a hopping place. Besides the beauty and historical connection of Lincoln’s tomb, the cemetery houses many connected with Lincoln as well such as the minister Rev. Charles W. Dresserthat married Lincoln and Mary Todd. The minister married the Lincoln’s while serving as the rector of the Episcopal Parish. He eventually sold the Lincoln’s the only house they ever owned at 430 South 8th Street in 1844. Besides the minister, two brother-in-laws that were married to sister’s of Mary Todd and many others remains have been laid to well in this historic place as well as a notorious preacher with a story that warranted a book. Reveran Rayburn, a deposed Methodist minister, started up his own religious called the Pilgrim. It is Rayburns wife that holds the second tallest gravesite marker in the cemetery. There is a lot of question as to exactly who is buried inthe plot that bears the name Hannah Rayburn. If visiting Springfield, stop into the cemetery office and purchase the the booklet “Oak Ridge Cemetery, The Resting Place of Abraham Lincoln”. The two dollars is worth the marvelous history and mysteries that this historic site will unveil..